Product prices and availability are accurate as of 2019-04-18 12:56:30 UTC and are subject to change. Any price and availability information displayed on http://www.amazon.com/ at the time of purchase will apply to the purchase of this product. 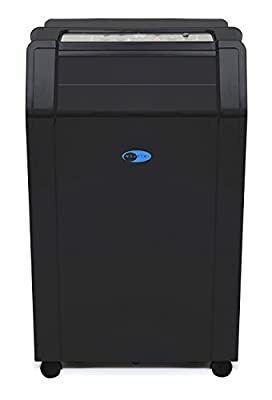 The Whynter compact CFC-free, lead-free and energy efficient 14,000 BTU portable air conditioner, helps you stay cool while working with better environmental standards and reducing energy consumption. This high output portable air conditioner is specially designed to be mobile and is most commonly used in data closets/server rooms, bedrooms, classrooms and garages/workshops. It features an CFC-free GREEN R-410A refrigerant and lead-free RoHS compliant components. 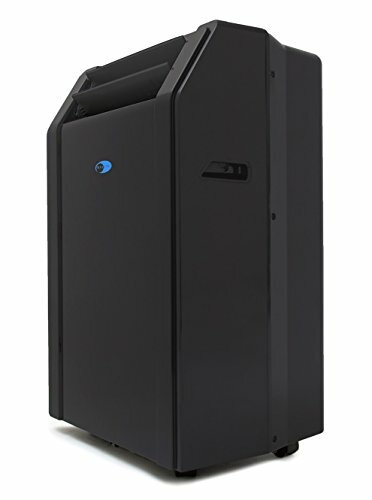 It provides superior 14,000 BTU cooling output while maintaining a compact and portable profile. This unit features advanced self-evaporating technology, which uses and recycles moisture collected during the cooling process to produce cool air and minimize condensate build-up. It also features an auto-restart function which it automatically restarts on the previous settings after power outage. The unit can also be programmed with a 24hr timer to activate or shut-off at preset times. 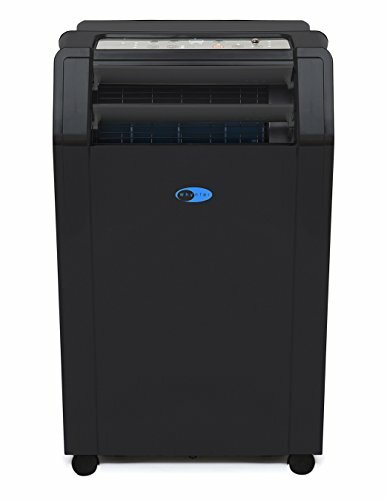 Features a separate dehumidifying mode that enables it to be used as a dehumidifier. A washable Pre-Filter and Activated Carbon Filter are standard on this air conditioner to help keep the cooled air cleaner and fresher. This unit combines smart styling and impressive cooling output for the most demanding applications. It is recommended for spaces up to a 500 sq. ft. (ambient temperature and humidity will influence performance). Additional Features: LCDI (Leakage-Current Detection and Interruption) plug; Dehumidifying Capacity: 71 Pts./day; Direct drain option for continuous operation without excess condensate accumulation; 4 speed fan with directional louvers; Adjustable thermostat control range from 62 Degree - 88 Degree; Casters for easy mobility; 24 hour programmable timer; Noise level (dBA): andlt;53; Extendable exhaust hose (up to 59"); Upgraded Plastic window kit included (Max. 48" max length); Refrigerant: R-410A; Power supply: 115 V/60Hz; Unit dimensions: 19.25" W x 15.75" D x 32" H; UL listed. 14,000 BTU cooling capacity Self-Evaporative System - exhausts most or all condensate under average ambient conditions CFC free GREEN R-410A refrigerant Four operational modes: Auto, Air conditioner, Fan or Dehumidifier Remote control with full functionality. Max. window kit length = 48" , Min. window kit length = 26.5"